Columbia County Real Estate Specialists is proud to offer these commercial properties for sale. Take your time to browse our gallery of businesses and commercial listings throughout Columbia County. Contact Columbia County Real Estate Specialists to let us know the type of business or commercial property you want to find. 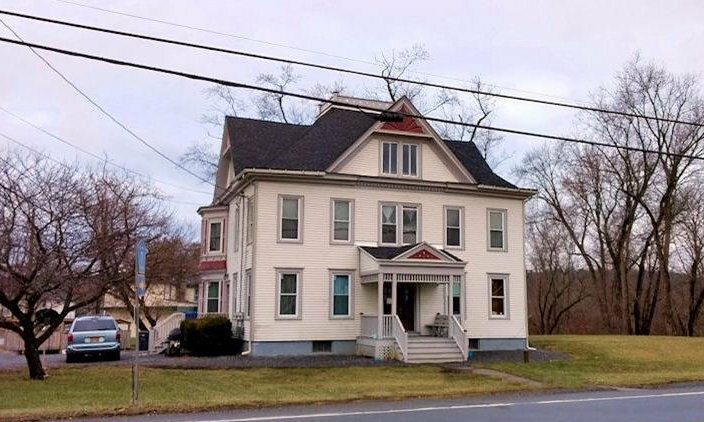 Investment Property ~ Multi Two family home in the heart of Copake. First floor apartment is a two bedroom and second floor apartment is a three bedroom. Both apartments are rented and tenants in good standing. In the last ten years new roof, windows and well. Motivated sellers. Excellent investment opportunity. Easy to show with 24 hour notice. Right in the hamlet of Hillsdale close to all amenities. Walk to grocery stores, shopping, 5 restaurants, new flower shop and Casana Tea House. Main level apartment includes eat-in kitchen, living room with wood-burning fireplace, dining room with bay window looking out over the large open lawn and ball field just beyond, 3 bedrooms and 2 full Bathrooms. 2nd apartment: Basement was completely remodeled in 2012 to include a separate apartment with an open floor plan; kitchen/dining room/living room combination, 2 Bedrooms and full Bathroom. Country living, close to Hudson, Millerton, Amenia NY and only a mile from the Berkshire border & Catamount (www.catamountski.com). PLUS Metro & Amtrak train stations within hour. Live here year round or weekend retreats and have mortgage covered by rental income (currently $23,000/year in rental income). Easy to show with 24 hour notice. Beautiful Colonial built in 2008, in excellent condition. Convenient location just off Route 22 on the corner of Mitchell Street. Minutes to Great Barrington with views of Catamount ski slopes. Some features include Maple wood flooring throughout, large kitchen w/13x12 Breakfast nook, formal dining room, Living room w/propane fireplace, large glass doors to bring in views of private back yard. Radiant floor heat throughout, Geothermal heating system (needs heat pump installed), Five bedrooms, MBR suite w/huge walk-in closet & luxurious spa tub, three bathrooms. 6 acres with private pond. Zoned for small business. Very sweet deal. GREAT investment opportunity! Four units, all tenants in good standing and hoping they go with the sale!! Each apartment is on it's own electric meter. Two water tanks, one furnace. $45,000+/yearly in rental income...now that's a great investment! Income statement available. Property Condition Disclosure on file. Four Buildings for the Price of One! Excellent Income Investment with 7 rentals!! Four buildings in total being sold together; two multifamily units (5 apartments). Plus a separate shop building, built in 2012, with a 2-bay garage and over heard doors, with yet another apartment AND a 4-bay Pole barn used to store boats etc. But wait, that's not all, property has a junk yard license Grandfathered-in being sold with property. All four buildings are in excellent condition on over 2 acres with mountain views. $56k+ in rental income yearly, all appliances sold with property. Easy to show with 24 hour notice. Ideal location! Hundred year old beautiful Historic beauty in excellent condition, on 3+ acres. The 'Honored Guest' B&B is now on the market and ready for action. STILL VERY ACTIVE WEBSITE (worth 25K included in sale) turning down reservations because you aren't here yet... First floor dedicated to commercial kitchen, large sunny dinning room, office, living room w/wood burning fireplace perfect for holding meetings. Can accommodate groups for small conferences/meeting venue. Second floor boast of four bedrooms w/en-suite bathrooms, third floor is Caretakers suite. All the modern amenities while still maintaining the historic glory. Large enclosed sun porch, 4 zoned baseboard heating, full basement. Four heating zones. Ample parking are just some of the many features. Centrally located at the intersection of Route 22 and Hunt Road, just a mile outside of town and 3 miles to Catamount Ski area, minutes to the Berkshires, Tanglewood, & Jacobs Pillow, and 2-hrs from NYC. Perfect Location, Across from Copake Country Club ~ 55 Acres! 55 ACRES with water rights from THREE sources! Artist retreat or Copake Lake moguls dream come true! Sweet sanctuary on almost 55 acres. Water frontage on multi bodies of water, i.e. Friends Creek, Zeky Pond and lake rights on Copake Lake! Property has road frontage on both Pond Hill Road and 78 feet of shared lake rights on Copake Lake Road. This get away, is really about the land, however a big Plus is the sweet cottage w/cathedral ceilings and exposed beams, hardwood floors though-out home and marble floors in master bathroom. Spiral staircase in kitchen leading to basement, could easily be converted to second bedroom. Zeky Pond is known for Bass fishing, Copake Lake is known for boating & water sports. Quiet, secluded, waterfront/water rights on three different sources of water. Shared dock area on Copake Lake. The majority of land is across street from Copake Country Club and the Greens Restaurant, what more could you ask for. Listings consist of 3 parcels, 155.13-1-17, 155.-1-28 & 155.-1-35. Easy to show, survey on hand. Located in the historic hamlet of Copake Falls the Taconic Wayside Inn is one of Columbia County’s most popular destinations. The Inn has been popular with locals, tourists and campers for years and was renowned as the favorite watering hole of Babe Ruth when he visited the area. The inn has maintained its popularity over the years by offering consistently excellent fare and libations. The tavern has been recently updated from the floors up. It features a large L-shaped bar, a row of booths and pool table area that can be changed to accommodate local bands when they take the stage. Just off the bar is the large enclosed outdoor sitting area that accommodates diners as well as bar patrons. The dining rooms have also been recently updated to create an appealing dining environment. There are two separate dining rooms, as well as the outside dining area. A covered front porch conveniently serves as an outdoor are for patrons who wish to smoke. The inn also features three apartments and five single rooms for additional income potential. The apartments can be used to house an owner/manager and valued help, or provide valuable monthly income as monthly or yearly rental units. The single rooms are not currently used, but could serve as overnight lodging for tourists or small groups. The property also features a large two-story post and beam barn that would make an exciting space for weddings and events. The Taconic Wayside Inn is situated on the Eastern border on New York with Massachusetts and within minutes of The Taconic State Park, Bash Bish Falls, The HV Rail Trails and other popular Columbia County recreational destinations. 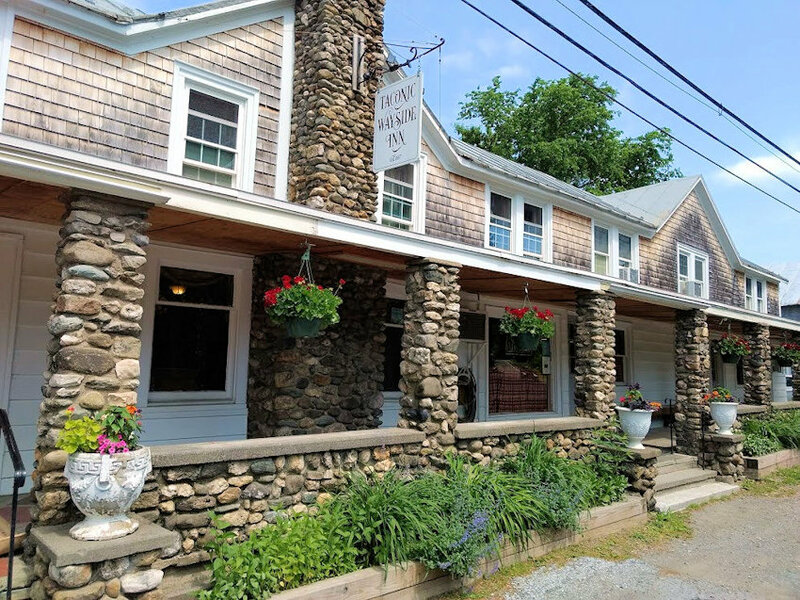 Family owned and operated since the 1960’s this popular and successful tavern and restaurant is now on the market for the first time. Contact us for more information and come visit this historic inn for yourself. Historic Mount Washington House, circa 1881. Currently owned and operated by the same family as a tavern / restaurant and inn since 1972. The future potential of this iconic structure is massive. The 14,000 sq.ft. three-story building offers exceptional potential as an event center, boutique hotel or B&B, multi-family housing, mixed use retail/residential or whatever your business model calls for. Original details resonate throughout this Mansard Victorian on over two acres. The tavern features a handcrafted mahogany bar, original antique oak walk-in cooler with ice attic and pocket doors. The inn features 26 single bedrooms, 15 baths (9 working and 6 not currently in use), original wide board pine floors, pressed tin ceilings and walls. Recent upgrades include a new boiler, 400 amp electric service, new rubber roof, hydro-fracked well, tie in to town septic system, covered outside dining area & back patio for additional seating, paved driveway, and three detached rental cabins. The property is a landmark in the Hamlet of Hillsdale, one of Columbia County’s most up and coming towns. It is ideally located within two miles of Catamount Ski Area and the Western gateway to the Berkshires. To the West you will find eclectic Hudson NY with its fantastic shops, fine dining offerings and wonderful entertainment options. Beautiful countryside surrounds and it is easy to recognize why Hillsdale is one of the most popular destinations for visitors to Columbia County. An opportunity to own and develop a landmark property doesn’t come along often. Opportunities to do so in a hamlet business district like Hillsdale are even rarer. The Mount Washington House beckons a new vision. Will it be yours? A progressive real estate company providing excellence in property brokerage services throughout Columbia County New York. "Helping Home Buyers Put Down Roots."